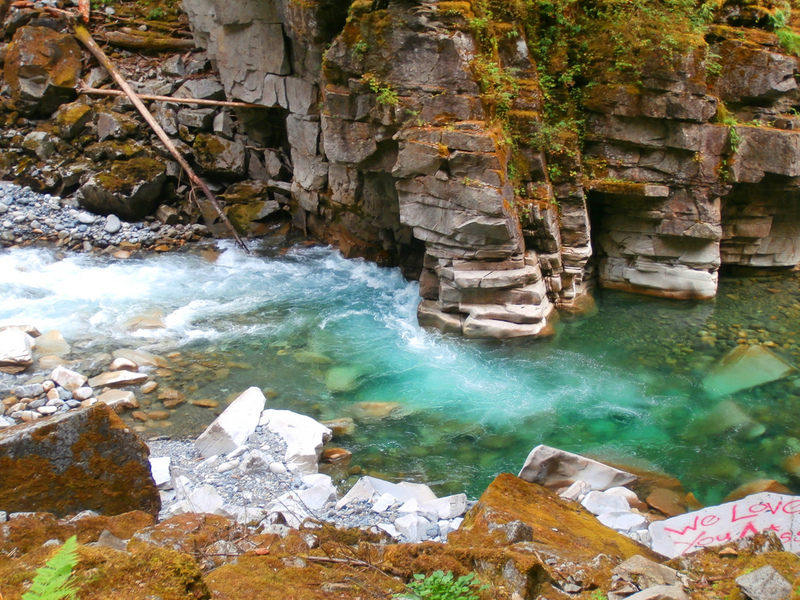 British Columbia is an adventurer’s paradise. With its easily accessible islands, stunning coastline, and abundance of national and provincial parks, there’s no better place. The best way to explore British Columbia? By bike, of course! Check out these amazing places to cycle across the province. Vancouver’s Seawall is the world’s longest uninterrupted waterfront path. It stretches for 28 kilometers (17 miles) from the Vancouver Convention Centre, around Stanley Park, and all the way to Spanish Banks Park. The Seawall has one path for cyclists and another for pedestrians on foot. No matter what section of the Seawall you decide to tackle, you can count on stunning views. Visit Stanley Park’s many beaches, stop for lunch at Granville Island and check out Science World along the way. Another rail-to-trail conversion, the Kettle Valley Rail Trail is one of the best-known cycling routes. The world-renowned trail is part of the Trans-Canada Trail and stretches for over 450 kilometers (283 miles) from Brookmere, through the Okanagan, and south to Midway on the United States border. One of the more popular sections is Myra Canyon, which is a good day trip option from Kelowna. On this section, cyclists will find 18 trestles, two tunnels, and a lot of beautiful scenery. Enjoy both the Kettle Valley Rail Trail and the region’s award-winning wineries on a bike tour too. Of the many beautiful and remote Gulf Islands off the coast of Vancouver in British Columbia, Salt Spring Island is undeniably the best for cycling. A local company called Island Pathways has assisted in making the island more bike-friendly, with extra bike racks installed across the island and the development of a bike route map. Cycling Salt Spring Island means winding roads, stopping off at studios and galleries along the way, passing by farms, and being mesmerized by the island’s coastline. Mountain Bike Magazine named Squamish one of the world’s top 25 most wild and exotic mountain biking destinations. If you want a mountain bike challenge, there’s no better place in Canada, with over 150 trails for beginners and experts. There are also mountain bike rentals in Squamish if you’re just traveling through the scenic town. Two popular options are the beginner and intermediate Garibaldi Highland Trails in Alice Lake Provincial Park. Explore Oliver, the Wine Capital of Canada, and the southern Okanagan Valley on the International Hike and Bike Trail. The 18-kilometer (11-mile) trail is easily accessible, mostly paved, and predominantly flat. It begins at McAlpine Bridge and follows the Okanagan River through farmland and passes many wineries, and it finishes near Osoyoos Lake. Combining a tour of the region’s popular wineries with cycling is a new initiative, but it is definitely worthwhile in this scenic area of British Columbia. 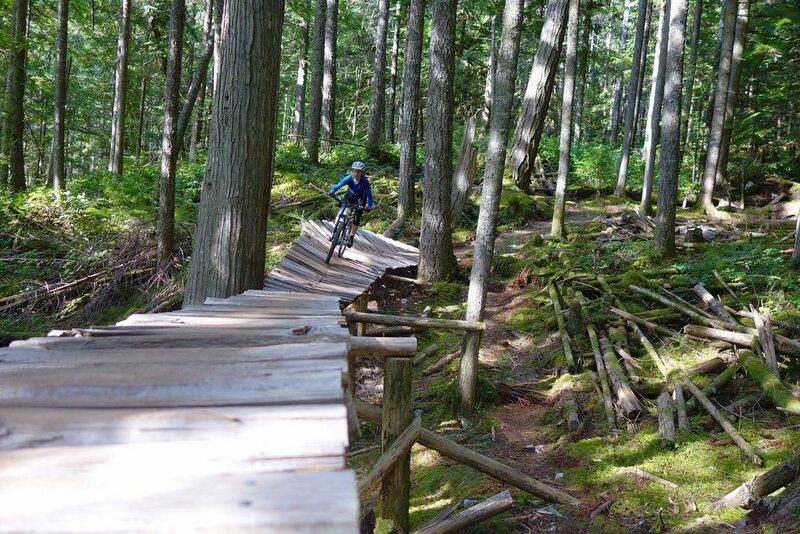 Whistler is no doubt one of Canada’s most amazing places, and the best way to explore it is through biking along the Whistler Valley Trail. 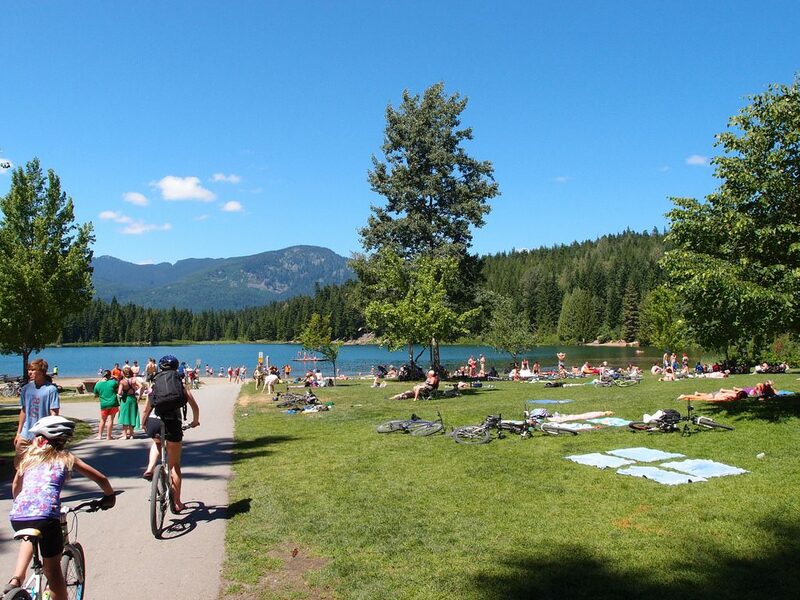 The paved and car-free trail stretches for 40 kilometers (25 miles), from Whistler Village and around Lost Lake. The trail network connects visitors to Whistler’s neighborhoods, its many nearby lakes, and its stunning viewpoints. Sections of the Whistler Valley Trail are even maintained in winter for walking, fat biking, and cross-country skiing. The International Mountain Bike Association called Rossland’s Seven Summits an “epic trail.” An advanced mountain biking adventure, the demanding 35-kilometer (22-mile) point-to-point path includes 360-degree mountain vistas, a chance to pass through an incredible alpine ecosystem, and a lot of epic ups and downs. Because of snowy conditions, the Seven Summits is usually open from July to September every year. It takes most riders between six to eights hours to complete. Cyclists will love Vancouver Island, often called Canada’s Cycling Capital. 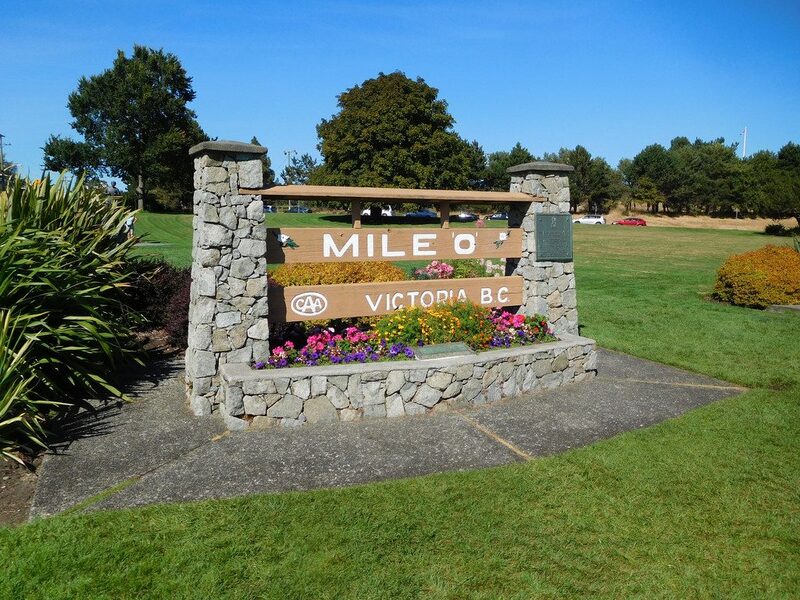 The most popular bike trail in Victoria is Galloping Goose Regional Trail. It’s a part of the Trans-Canada Trail and stretches 55 kilometers (34 miles) from coast to coast. It runs from downtown Victoria to Leechtown and also lies on some abandoned rail beds. 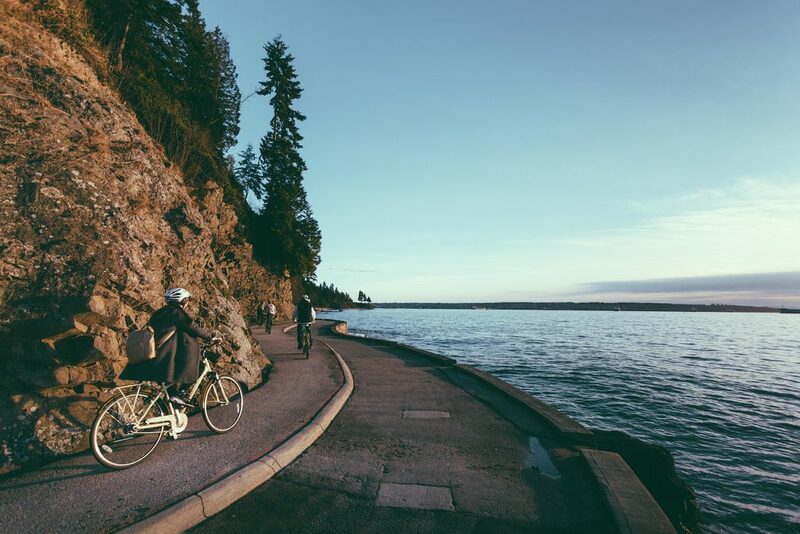 The trail meets up with the Lochside Regional Trail and the Seaside Cycling Route, which takes riders past the Inner Harbour and Beacon Hill Park and along the coastline. This 122-kilometer (76-mile) trail is also on a converted rail bed. The Cowichan Valley is known for its “Gourmet Trail,” due to the number of farms, wineries, orchards, and farm-to-table establishments in the region. Enjoy the valley by bike, as the Cowichan Valley Rail Trail runs from Shawnigan Lake to Cowichan Lake. The trail is predominantly wide and flat, with some sections right on the roadway.